Tom “Baby” Alner survives a field of 645 en route to winning the Macau Poker Cup Red Dragon Main Event. Macau has been kind to professional poker player Tom Alner. Before registering for the Red Dragon Main Event, the young English pro known as “Baby,” had already final tabled three other events held in the Chinese city. But it wasn’t until yesterday that he would finally break through and take down a title. After navigating a diverse field of 645 tough pros and resilient amateurs, Alner was proclaimed the winner of the Red Dragon Main Event. In addition to receiving the equivalent of 106,000 US dollars, the fresh-faced pro was rewarded with a one-of-a-kind Red Dragon statue. To be fair, Alner walked away with less prize money than the other top four finishers. When play got down to four-handed, the players realized that the blinds were extremely high relative to their chip stacks. Combine this with their relatively even stacks, and the final four decided it would be in their best interest to chop the prize pool and just play for the statue and the HK$100,000 entry into the Asia Championship of Poker Main Event. Alner held the shortest stack of the four, and therefore received the smallest piece of the remaining prize pool. Shortly thereafter, Alner would bust out Victor Sheeman in fourth when Alner’s pocket sevens held up against Sheeman’s A♠3♥. From that point onwards, Lady Luck was on Alner’s side. He caught two miracle rivers, one holding Q♠J♠ versus Jason Chong’s A♦J♠ and a second holding ace-jack versus ace-eight on a K♣K♦9♦8♣ board. Although he was in dire straits, the river was the A♣ giving Alner and his opponent Wilson Fu the same two pair, but Alner a better kicker. 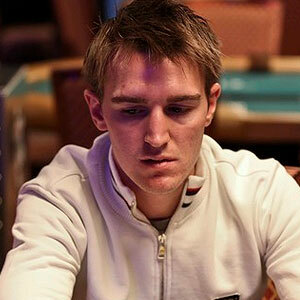 Alner entered heads-up play as a massive chip leader; a lead he would never relinquish. On the second hand of the short-lived battle, Chong called a shove with Q♣10♣. Alner flipped over 7♦7♣ and they were off to the races. The 7♥8♠9♠ flop was dramatic enough to make both players sweat, but the turn A♦ and the river 2♦ were complete bricks, and Chong was eliminated in second place. He received HK$758,000 for his efforts. Considering that Alner was down to a mere 8,000 chips on Day 2, his win is even more noteworthy. And thanks to his victory he’ll be freerolling the Main Event of the ACOP, which is set to kick off this October. Good luck Baby!